Many of the Downton Abbey scenes are filmed in the medieval Cotswolds village of Bampton and as I was writing about this lovely place in the sequel to my book Cotswolds Memoir: Discovering a Beautiful Region of Britain on a Quest to Buy a 17th Century Cottage I came across this appeal (below) by Hugh Bonneville for a donation to help restore Bampton’s Old Grammar School (Downton Cottage Hospital in the series). Here is a revisit to my blog giving the history of ancient buildings used in scenes in Downton Abbey and lots more about the lovely Cotswolds village of Bampton. Downton Abbey paints a fascinating picture of a royal presentation at court in Episode 4 of the series. The purpose of this event was for the upper class debutantes and eligible bachelors to meet and make suitable marriages. In Downton Abbey Lady Rose is presented to George V and Queen Mary. A very deep curtsey was required by a debutante as the presentation is made. Debutantes were advised to practice their curtsey and many were nervous about getting it right. Various disasters were reported with Debutantes either tumbling over or being unable to rise after the curtsey without the aid of a hastily summoned courtier. At the presentation a debutante would be announced to the King and Queen and after a curtsey would make her exit, stepping away from the Royals without turning around, in order not show her back. A court presentation signaled the beginning of the social season in Britain and Debutantes were required to have a sponsor. It was mandatory that this sponsor be someone who had already been presented to the King and Queen. Court dress followed prescribed tradition, with most girls wearing white evening dresses, although pastel shades where also in order. Three ostrich feathers attached to a veil adorned the debutante’s hair and pearls and jewelry borrowed from family heirlooms were traditionally worn. Debutantes were chaperoned at dances by any female member of the family who could be induced to volunteer. Many a great-aunt would fall asleep in the small gilt chairs that were provided at these formal balls while the Debutante in her charge would often secretly slip away unnoticed to a nightclub. To many a young girl this would be a far more exciting prospect than a society ball. A Sovereign presentation was designed to show off a Debutante as she entered society for the first time and to keep her selection of a husband confined to an elite, upper class circle. There was a lot of pressure on Debutantes to find their future husband at the various balls and entertainments during the first season of her presentation. But sometimes this was not possible and a second or even third season was needed to accomplish this goal. In addition to the balls there were many other chances for Debutantes to meet a suitable prospective husband such as polo matches, Royal Ascot, tea parties, Thé Dansant and a Debutant’s own coming out party. This festivity was sometimes shared with a sister or cousin to defray expenses. Court presentations were removed from the court calendar in 1958 by Queen Elizabeth II, and attempts by society to continue them without royal patronage were unsuccessful. This little bit of history portrayed so charmingly in these scenes in Downton Abbey are all the more interesting because, as mentioned, the ritual of court presentation is now no more. Discovering a Beautiful Region of Britain on a Quest to Buy a 17thCentury Cottage. The Prince of Wales’ first love affair is alluded to in the storyline of Downton Abbey, however the real-life characters that are portrayed are just as fascinating as the action on the screen. The Prince of Wales, later King Edward VIII, was the King of England for less than a year before he abdicated to marry Wallis Simpson. But before the king met her he had an affair with the textile heiress and socialite Freda Dudley Ward. This affair, although of long duration, was one among many and Edward’s womanizing and reckless behavior so alarmed his father George V that the King talked openly of not wanting his first-born son to inherit the crown. “After I am gone”, George announced, “this boy will ruin himself within twelve months”. The love affair between Edward and Freda Dudley Ward, (married to the liberal Member of Parliament William Dudley Ward), had begun over five years earlier in 1918 during a First World War Zeppelin Raid. Edward had hurried into a doorway as the bombs dropped around him and encountered Freda who had already taken shelter there. At the time Freda had two daughters and Edward subsequently became very fond of them. Her husband, sixteen years her senior, after discovering the affair, allowed the relationship to continue. Although the liaison was never referred to in the press it was an open secret among the upper classes. Edward, or David as he was called by his close friends and family, considered himself the first ‘modern’ royal and participated fully in the nightlife of the nineteen twenties and thirties. He visited the Embassy Club and many other restaurant and dance clubs, which no royal had ever done before. Edward met Freda Dudley Ward when he was twenty three years old and after an on and off again affair, broke off their relationship upon meeting Wallis Simpson in 1934. This led to the abdication crises in 1936. William Dudley Ward divorced his wife in 1931 and in 1937 she married the Spanish nobleman Marques de Casa Maury. That marriage subsequently ended in divorce in 1954. Downton Abbey highlights an interesting glimpse of history as Freda Dudley Ward was Edward’s first serious love affair. Had he stayed with her and not transferred his affections to Wallis Simpson the course of history would have been significantly changed. 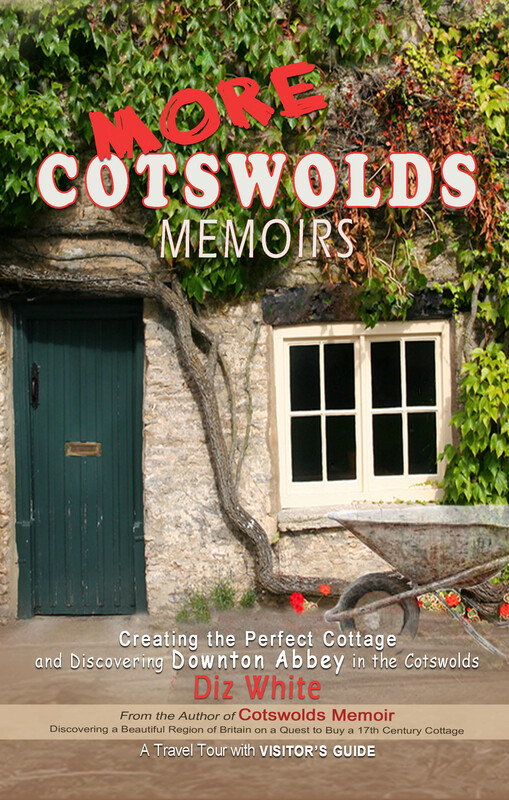 by Diz White author of COTSWOLDS MEMOIR: Discovering a Beautiful Region of Britain on a Quest to Buy a 17thCentury Cottage. Available on Amazon. Come Back – the Embassy needs you – Edward. It was this message from the Prince of Wales in a 1925 cablegram to Ambrose, the band leader that finally persuaded him to return to England from New York. It must have been very flattering to have the heir to the British throne begging him to return to the Embassy nightclub with his band. Ambrose was in real-life, exactly as he was portrayed in a season four episode of Downton Abbey – an extremely popular band leader and violinist. He had been very much missed by the Prince while he was away from London. Only a year earlier Ambrose had left the Embassy Club for a much better offer to play at the Palais Royal in New York. Born in the east end of London in 1896, Ambrose had divided his time between London and New York for several years before granting the Prince’s request. Eventually, after returning to the Embassy Club he moved on to the Mayfair Hotel in London where he remained for the following six years. He recorded many numbers with Decca, Brunswick and HMV helping to make him the most popular band leader of the era. Later he opened Ciro’s club and hired the legendary pianist Art Tatum and such talents as Ted Heath and Sylvester Ahola. He discovered Vera Lynn and much later Kathy Kirby. Downton Abbey captures the glamour of this era in its scenes set in the Embassy Club and the viewer is given a fleeting glimpse of Ambrose as he plays his violin. Below are some recordings of how he sounded during the 1920s and 1930s. The ravishingly beautiful Great Conservatory in Syon Park makes an idyllic setting for Lady Mary to take tea with Lord Gillingham in the series Downton Abbey. The soaring white metal work of this backdrop contrasts with the lush greenery spilling from the classic Italian planters decorating its interior, creating a gorgeously romantic scene. The Great Conservatory was designed by Charles Fowler and built in 1830. A Greek cross is the theme of the tropical house and this building’s spectacular glass dome is thirty eight feet in diameter. A conservatory constructed of metal had never before been attempted and its scale is particularly impressive with a frontage of two hundred and thirty feet. Syon Park’s position, on the banks of the Thames only ten miles from London, is just across the river from Kew Gardens, and attracted the talents of J.M.W. Turner whose painting Zion House, Isleworth captures its beauty. Sir John Betjeman sang the praises of Syon House and its 200 acre park when he described it as ‘The Grand Architectural Walk’. It is the London home of the Duke of Northumberland, whose family have lived there for more than 400 years. Originally the site of a medieval abbey which was dismantled by King Henry VIII in 1539 the current building and park are now a site of Special Scientific Interest. Syon’s Italian Renaissance exterior was built in 1547 during the tenure of the 1st Duke of Somerset but it is its famous ‘Adam style’ that distinguishes the house’s interior. This came about when lst Duke of Northumberland commissioned Robert Adam to carry out a refurbishment 1762. An eclectic mix of architectural influences inspired Adam including Baroque, Mannerist Gothic and Ancient Roman styles. The Long Gallery is one hundred and thirty six feet in length and the state rooms are a must-see as they remain completely intact from the day they were built. In its march through history Syon House has been visited by or associated with King Henry VIII, Catherine of Aragon, Lady Jane Grey and Charles I.
Syon House and Park, including the Great Conservatory, are open to the public in the summer months and there is every reason, as the 3rd Duchess of Northumberland said, to visit ‘this delicious place’.